Xiaomi launched its much awaited Redmi Note 5 Pro which was an instant hit because of the amazing hardware it boasts at such a price. But the absence of Android Oreo at the time of the launch of the device was a huge bummer. The Redmi Note 5 Pro comes with MIUI 9 on top of Android Nougat 7.0 out of the box. 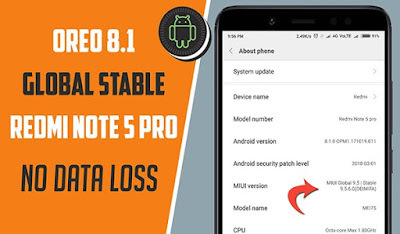 But soon after the launch, the company started recruiting beta testers for the Oreo ROM for the Redmi Note 5 Pro. 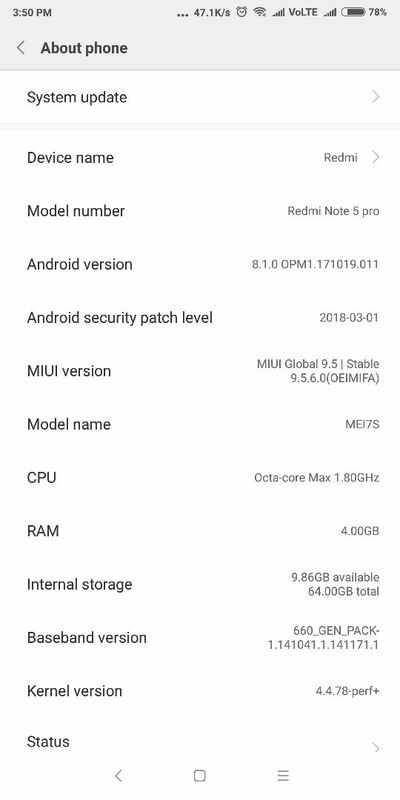 Few weeks earlier, the Global Beta ROM of Redmi Note 5 Pro based on Android Oreo 8.1 built on MIUI 9 was leaked. 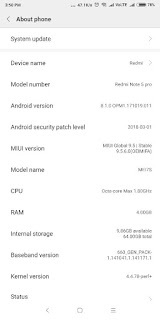 And now, a few days back, the developers at XDA pulled out the link for the Official Global Stable ROM for Redmi Note 5 which runs MIUI 9 on the top of Android Oreo 8.1. 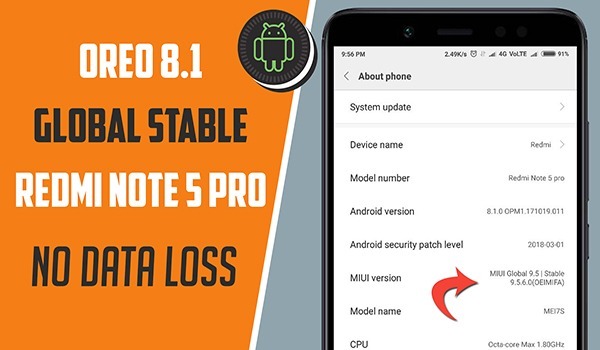 The update is yet to be pushed out via the OTA to the users but if you're one of those who can't wait to try it out on your device, then you can follow this guide and flash the ROM and enjoy the latest Android Oreo 8.1 on your Redmi Note 5 Pro.We'll discuss about the new features later after the flashing guide. Prerequisites : Unlocked Bootloader, TWRP Recovery flashed (NO root access required), Backup your important data. 1. Download the ROM which is linked above. 2. Transfer the zip file to the Internal Storage of your phone. Do not keep it in any folder. Keep it in the root directory itself. 3. Now switch off your phone. Once it is off, Press and hold the Power and Vol + Key together until you see the Mi logo. 4. Now the phone will enter into Recovery mode. You will see the TWRP logo. 5. Before flashing the ROM, I will suggest you to take a Nandroid backup of your device to be on a safer side. To do that, Go to Backup - Select Boot, Data, System and Swipe to Confirm. You can take the backup in a USB drive also. 6. Once the backup is complete, go back to main menu in TWRP. 7. Now Go to Install. Scroll down and find the zip file that you stored in the storage. Select that zip file and on the next screen, Swipe to Confirm Flash. Now the ROM will be flashed into your device. It will take around 4-5 minutes in the process. 8. Once your ROM is flashed, you will see a message "Done". On the same screen, there will be a option "Wipe Cache/Dalvik". Select that option. It will wipe the cache files only and not the data. 9. Now choose the "Reboot System" option. Your device will get rebooted into the system now. Your device will reboot normally. You won't see any change on the first screen itself. You can Go to Settings - About Phone and check the Android Version which will be 8.1 now. This update will bring all the features that come along with Android Oreo such as Picture-in-Picture, Quick Select, and others. Also, the battery life is improved over the Beta version of this ROM. 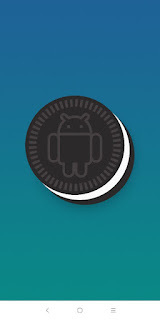 This ROM brings along support for Project Treble also along with other features. This means that the updates should arrive much faster afterwards for this device if Xiaomi wants. You can check the support for Treble here.